Follow US 129 (Tail of the Dragon) to the highest overlook on the TN side. This was take on the Tennessee side of the Tail of the Dragon at the highest overlook. Below you can see the Calderwood Dam reflecting onto Calderwood Lake. 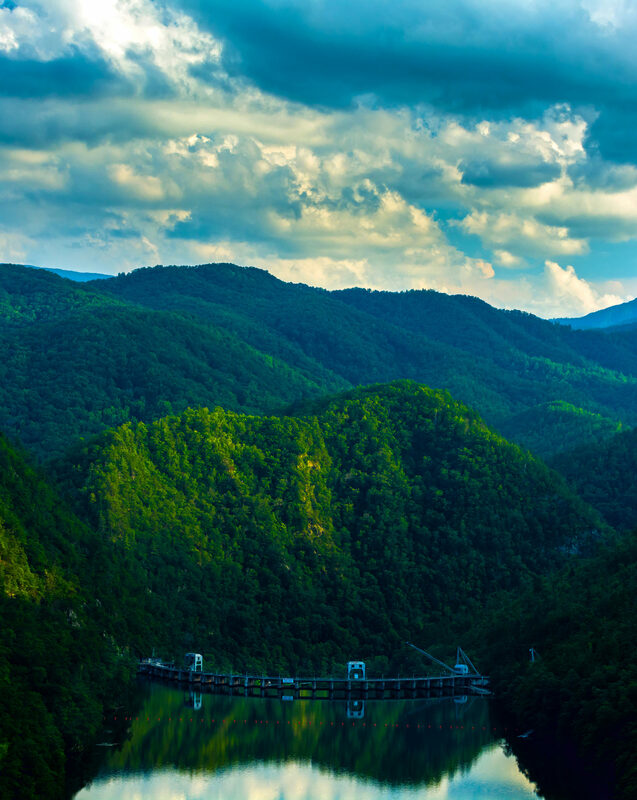 The dam is surrounded by the Great Smoky Mountains.